Tris Pharma recalls several lots of its infant ibuprofen product after discovering that it may contain a higher concentration of the painkiller than stated. 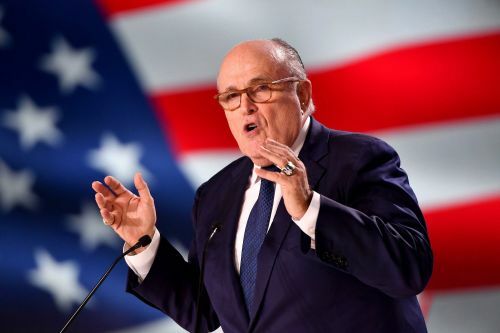 MONMOUTH JUNCTION, N.J. - A New Jersey-based pharmaceutical company is recalling three lots of liquid infant ibuprofen, sold at Walmart, CVS and Family Dollar, that might be more concentrated than advertised. Tris Pharma's voluntary recall covers Infants' Ibuprofen Concentrated Oral Suspension, USP 50 mg per 1.25 ml. 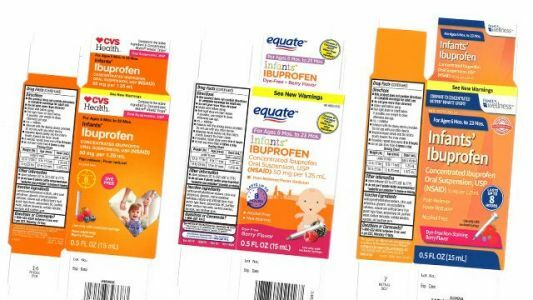 Tris Pharma has issued a voluntary recall of three lots of Infants' Ibuprofen Concentrated Oral Suspension . 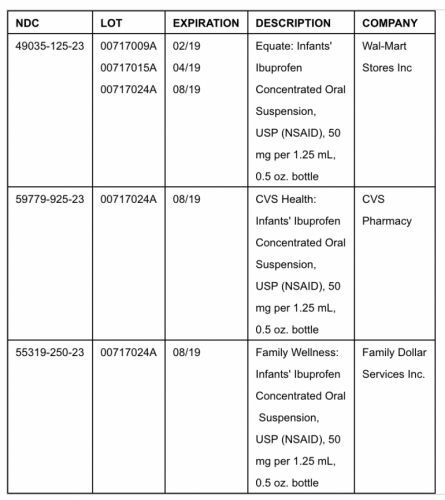 Several brands of infant liquid ibuprofen sold at Walmart, CVS Pharmacy and Family Dollar have been voluntarily recalled.